During Devolver's 2018 Big Fancy Press Conference, the chaos from last year continued with some legit game reveals, and a few surprises. One of these surprises comes in the form of a "Lootboxcoin," which is Devolver's take on loot boxes and cryptocurrency. 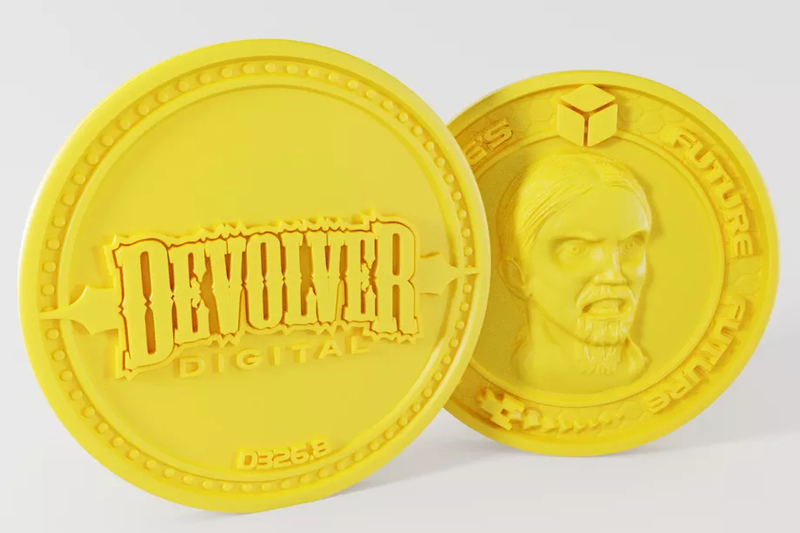 The Lootboxcoin is actually for sale in the Devolver Digital store. The price started at $131 but has since dropped to $126, although we've had a hard time seeing whether or not we can actually buy one as the Devolver site was flooded with visitors shortly after the Lootboxcoin's reveal. What did you think of Devolver's press conference this year? Would you actually purchase a Lootboxcoin just to say you own one? Let us know your thoughts down in the comments below!